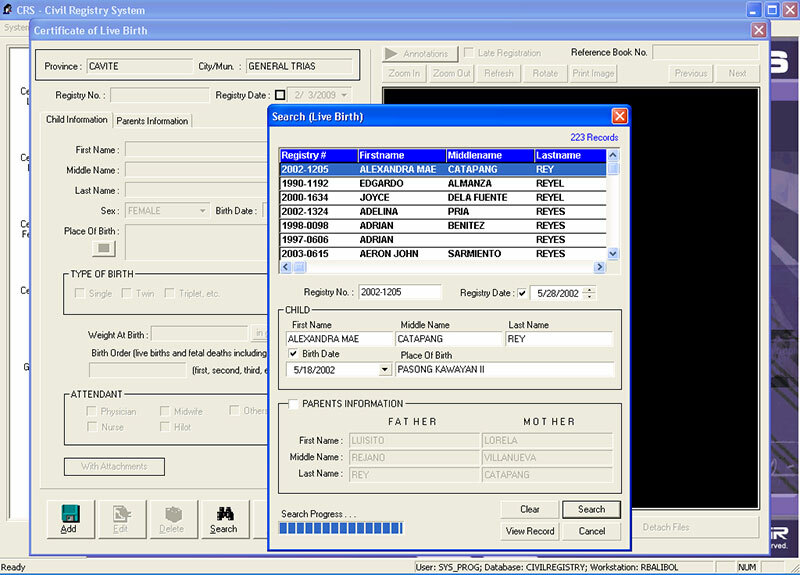 The local civil registry is the repository of all birth, marriage and death records, and other registrable documents. Citizens need these documents to register in school, collect social benefits, travel abroad, or other similar important occasions. 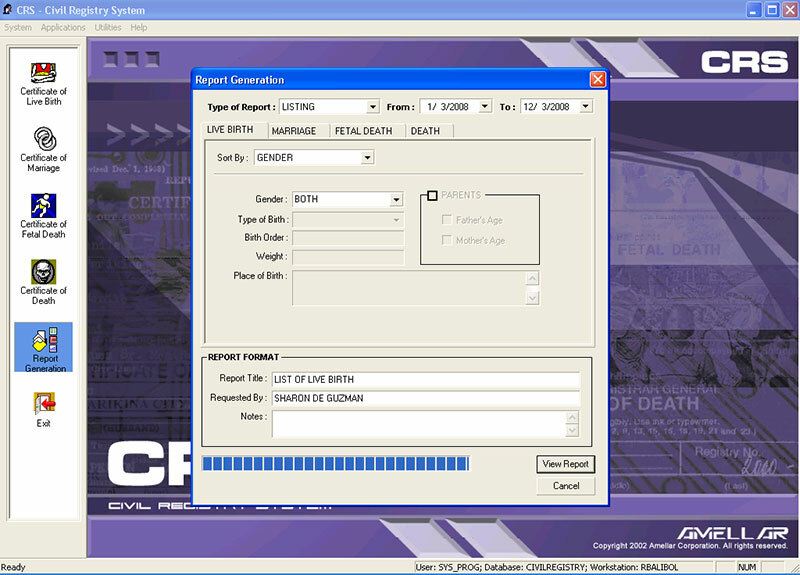 Amellar CRS© is a digital document management system that dramatically boosts LCRs� efficiency and effectiveness. 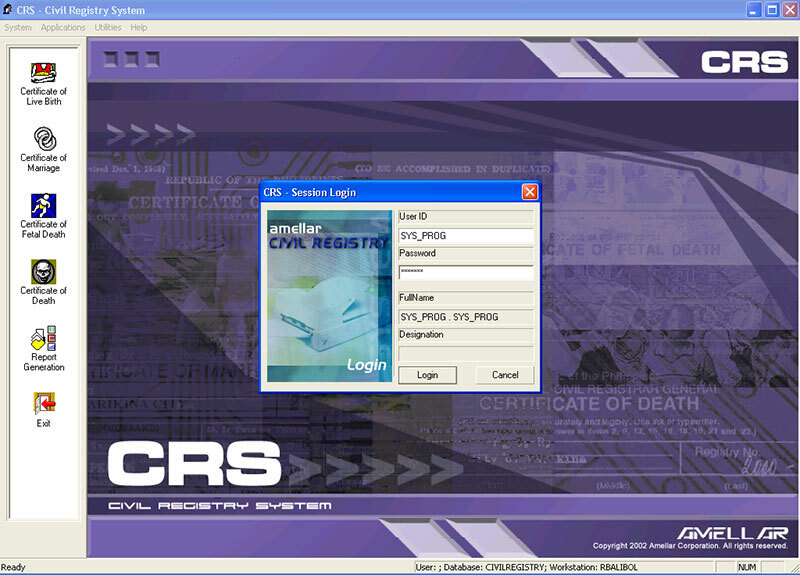 Amellar CRS© automates the LCRs' paper-based operation, making the registration and issuance of civil registry documents faster and easier. 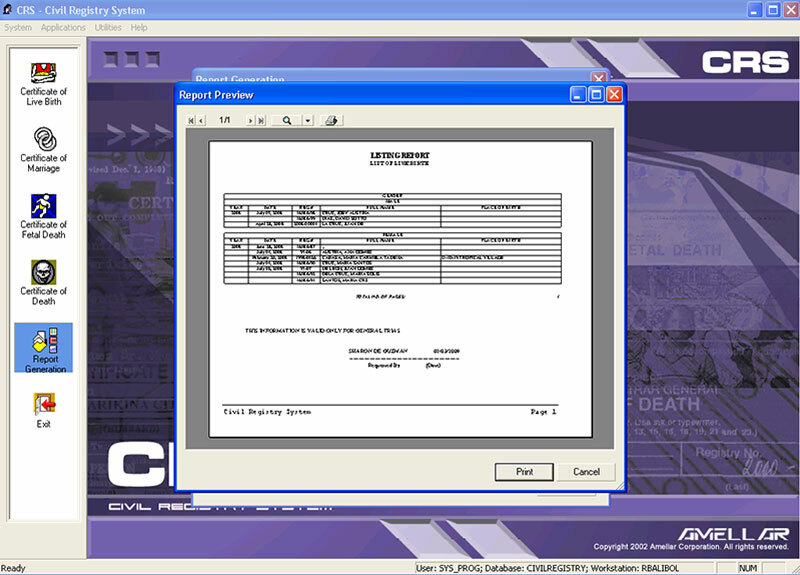 Amellar CRS© greatly facilitates the preparation and transmission of appropriate reports and documents to the Civil Registrar�General and the National Statistics Office. 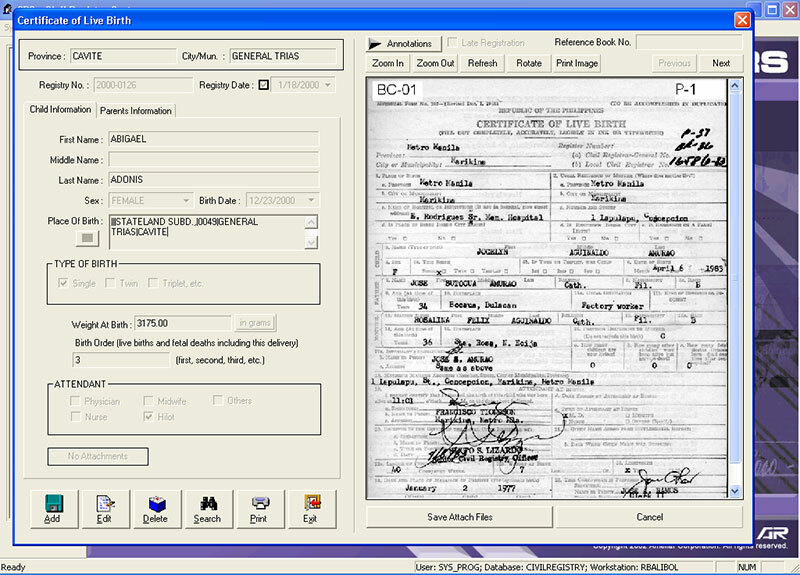 Amellar CRS© also preserves the archival records of the local civil registry in digital format.